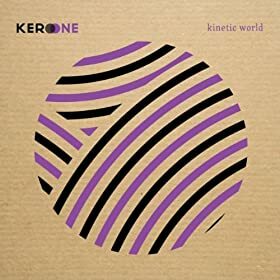 Here’s a sneak peek from the upcoming Kero One album “Kinetic World”. This track is called Fast Life, which features a collaboration with Esna Yoon. See how the song was made with Kero One on the beats and vocals along with Esna Yoon belting out her verse. Pre-order Kinetic World here. Album drops on June 15, 2010.Pick up Kero One’s latest album on or Amazon. Also on the Kinetic World album is Asian Kids by Kero One x Dumbfoundead x Tablo x Myk. Esna Yoon has been doing a few collabos too including Vacation Song, Jam Session 2.0, I Wish You Love, and Bedrock Mashup. This entry was posted in movies on June 4, 2010 by Kevin Hsieh - channel APA.